Hello my dears, today at the pretty-craft.com we will learn how to crochet this amazing baby sweater. 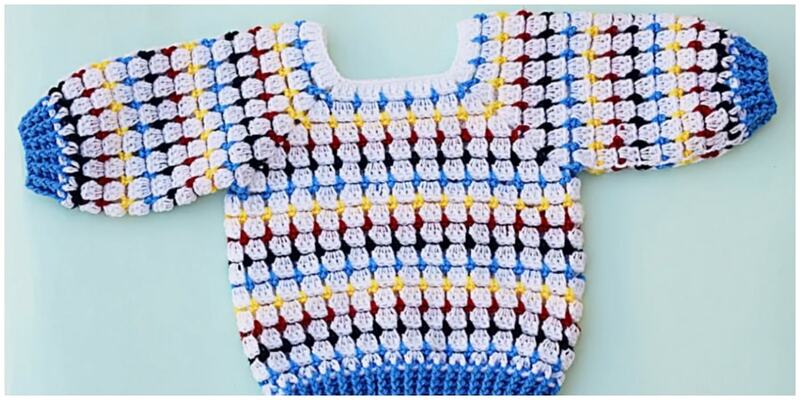 In this video pattern it is shown how to crochet this sweater for 1 year old baby size, but you can enlarge size and create it for woman, men , adults and etc. The pattern is video and here i everything you will need while working on it, beginning from the size of hooks, ending with type of yarns, you will need, so only thing you have to do, is take hook and begin crocheting. Special thanks to Majovel crochet’s Youtube channel for sharing this video for free, i hope you will like it too.